Every country in the world has stories to tell about its founding or settling. Yet if you read historical fiction, it would appear the Americans and Brits have the market cornered. Maybe it’s the Canadian in me, but I love stories set in places I’ve never been, and aren’t the same old tropes rehashed (I’m looking at you, Civil War and Regency.) 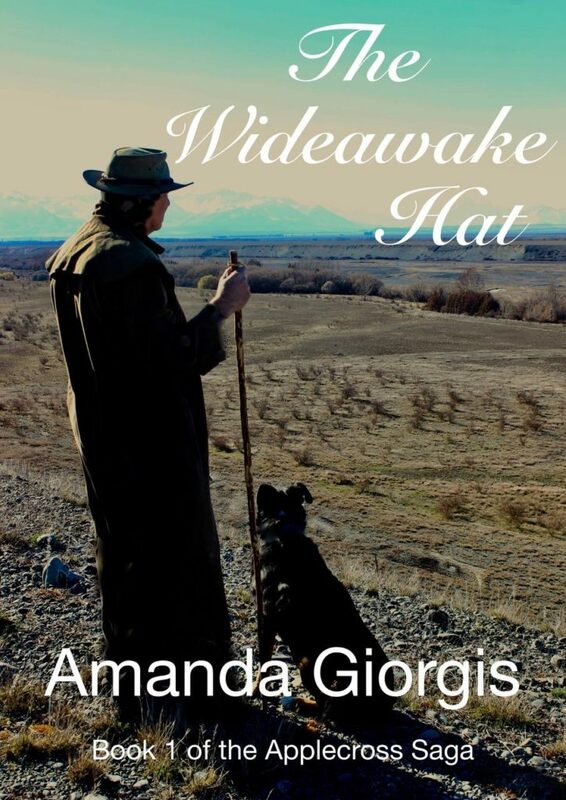 That leads us to Amanda Giorgis and her tale of New Zealand’s pioneering past, The Wideawake Hat. Okay Amanda, let’s get to it. What’s your deal? None of my family were surprised when I told them I had written a book, although the surprise was that it has taken me 62 years to do it! 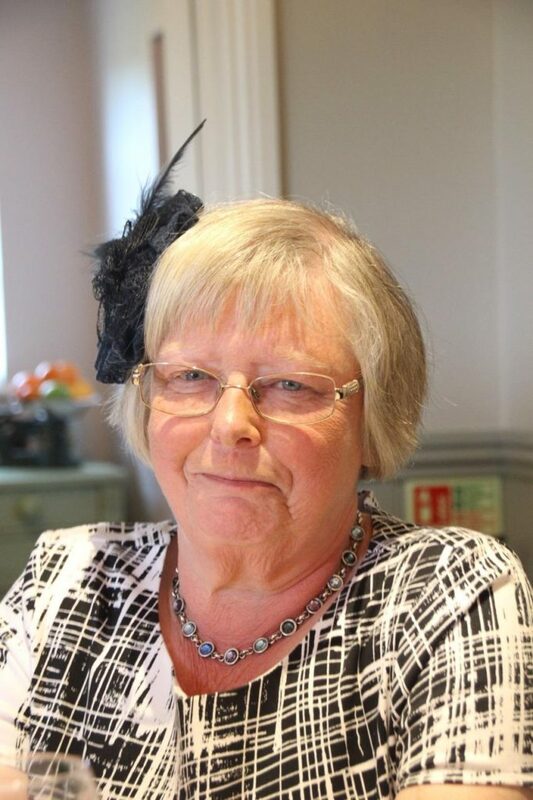 I grew up in a small village in Somerset, UK with imaginative parents who passed on their love of books and reading, and the rare ability to see through other people’s eyes and put myself in other’s shoes. I started life in teaching but fell by accident into computing at a time when the industry was dominated by men and ‘computing’ was not even a school subject.For most of my career I stayed around the world of education, making computer systems work for real people in colleges and universities in England. We, that is my husband Terry and I, made the long trip to New Zealand for a wedding in 1997 and fell in love with the country, but it took us another 9 years to form a decent plan to emigrate. We both wish we had done so 20 years earlier, when we were young enough to fully embrace the carefree outdoor lifestyle of this beautiful country. It suits me fine that there’s little need to wear ‘posh’ clothes here. Nor do you feel like you are competing with your neighbours for the latest new thing. People take you as you are here. I like that. And it is hard not to be inspired by the scenery. One gets quite blasé about the mountains on your doorstep and the wide panoramas which we take for granted as we drive to the shops. When I am not writing I am usually to be found in the garden battling the elements to force plants to grow in our wild environment, or walking our three rescue huntaway dogs, or in a church tower ringing bells. Bellringing is a passion I share with Terry. We met that way, when I was just a schoolgirl, and, over the years, we have made many friends and woven our lives around ringing church bells. What’s the story behind The Wideawake Hat? The Wideawake Hat is the first book in a series about the early settlers to New Zealand’s South Island. It tells the true story of James Mackenzie, a local folk hero after whom the Mackenzie Basin is named, and his clever sheep dog, Friday. Although the facts of James’ arrest for sheep rustling, and subsequent pardon, are irrefutable, what became of him is not certain. 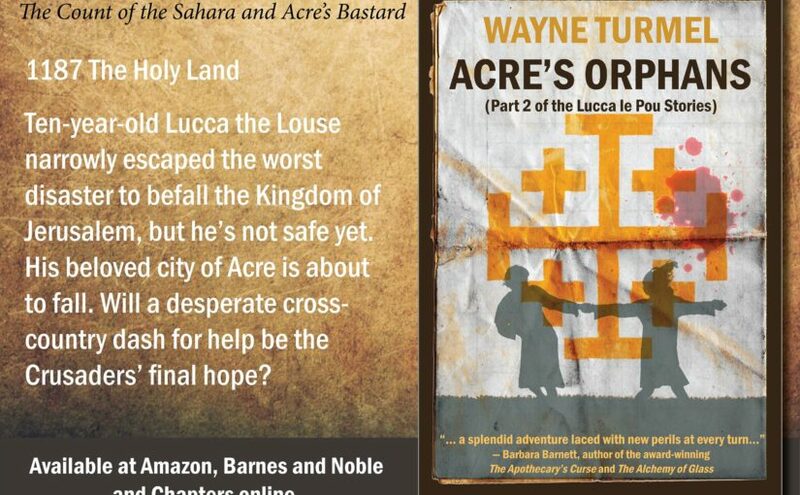 The book wraps a fictional scenario around the truth of the story. It begins in 1849 with the arrival in Port Chalmers of newly-weds, George and Sophia McKay. They journey inland to find a new home and, along with settlers from all parts of the Empire, form a new and thriving community. The saga will continue weaving fact and fiction with the development of the Mackenzie Basin over the second half of the 19th century, and maybe beyond? Why this story? What was it that was so interesting to you? The 1850s in the South Island of New Zealand saw the start of European settlement. Before that only Maori had lived there, and they were relative newcomers to the land where strange and unique creatures like the kiwi had evolved undisturbed by human contact. I often wonder how these folk would have felt making a journey from which there was no likely return to a place they knew almost nothing about. Perhaps it would be like us taking on a voyage to the far reaches of the universe. Life was tough for the early explorers, many of whom had grown up with strict Victorian sensibilities. Genteel womenfolk who discarded their corsets and full skirts to work on the rough land in harsh weather. Young women who spent much of their adult life pregnant, and became accustomed to the loss of loved ones in the harsh conditions. The men – mainly the second sons of farmers, unlikely to inherit – forced to build shelter for their wives and children and to find food and carve a livelihood, unaware of the extremities of the climate and the vagaries of the indigenous flora and fauna. I am fascinated by these pioneer souls and wonder if I would ever have had the courage to take the journey myself. I hope I would have done so. I would like to be like Sophia, my heroine. The idea for the book didn’t come from Sophia though. It came from the tales that surround the mysterious James Mackenzie. He was arrested and imprisoned for sheep rustling and later pardoned because it was ruled that the use of his dog to prove his guilt was unlawful. That much is fact, but there are many stories about him which cannot be substantiated. The one which became the germ of my book is the story that tells of the three sets of footprints found in the wet ground when he was arrested. I asked the question, “Who could have made those other footprints?” And the answer is – my story! Tough question- what’s your favorite scene? I could choose so many scenes – maybe the one where James saves Sophia from the unwanted attentions of Thomas Baylis. Or the one where that same rogue, Thomas, meets his demise. Or maybe the trial scene where James begs to be able to hold his beloved dog one last time – that’s a real tear jerker. In the end I have chosen the pivotal point of the story, where George is caught in a sudden storm. He tries to cross the swollen river on horseback to get home to Sophia. Roy, his dog, hitching a ride across the saddle. It is the part of the book I read aloud to people, but I have to stop at a certain point to avoid spoilers! It shows George’s naivety in building a flimsy bridge which cannot survive the storm and his lack of knowledge of the sudden changes in weather in this part of the world. Despite this, he does his best to get home to his beloved wife. I also like the loyalty of Roy, his dog, and his absolute faith in his master to do the right thing to save them all. It is the passage where most readers tell me they get hooked on the story, and one where a box of tissues may be required! Where can folks go to learn more? ‘The Wideawake Hat’, published in October 2018, is available on Amazon as an e-book or paperback, and on Kobo as an e-book. The paperback version can also be purchased in New Zealand from my website. Book 2 of the Applecross Saga, ‘Shepherd’s Delight’, will be available in mid-2019 from the same outlets. Not to barge in on Amanda’s interview, but Acre’s Orphans officially launches January 28th! You can order Paperbacks on Amazon, Barnes and Noble, and Chapters. The e-book is Kindle only Please help me launch it successfully by buying now. And any time you read a book like The Wideawake Hat (or one of mine,) please leave an Amazon or Goodreads review. It’s like applause for the author.